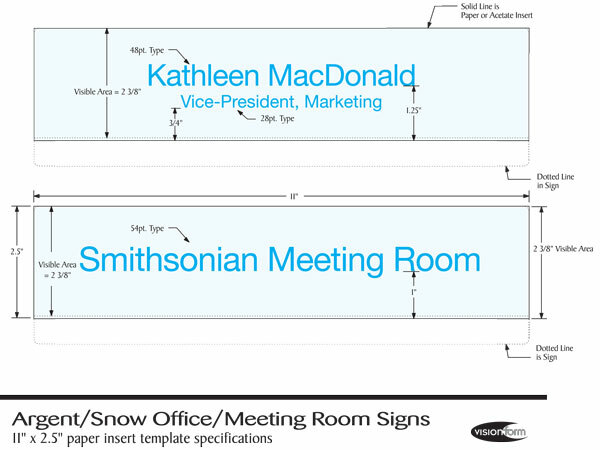 The following files can be used to prepare nameplate and meeting room inserts for Visionform Argent and Snow signs. The inserts can be printed onto either clear acetate or paper, as desired. Make sure that if you use acetate that you select one that is specifically recommended for your particular printer. 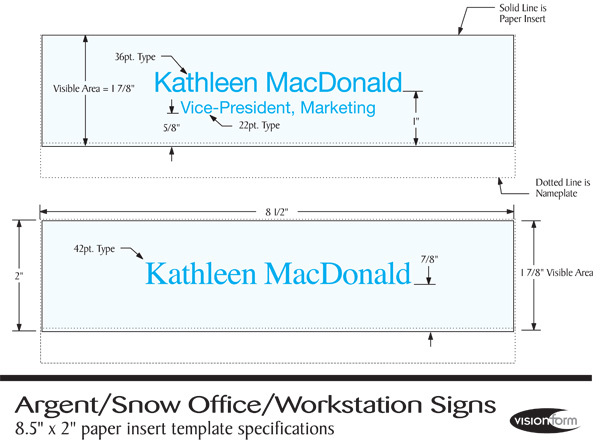 Click Here to download a MS Word Template to create your own inserts for Snow and Argent workstation/office nameplates. Simply type names into the template, print onto 8.5″ x 11″ tall paper and trim every 2″. Each page will produce up to five inserts.